Stress, anxiety, and depression are three different mental health conditions still these are very much interconnected and dependent on each other because one influences to another mental state. However, with some natural effective ways to reduce stress, anxiety, and depression, you can deal very well with all of them. Now it is very important to understand these three different health conditions one by one before analyzing their defensive or preventive tips. Whatever the state of a human being whether is of a rich person, male, female, highly educated or less educated, successful or unsuccessful at some point of time in their life they must have suffered from these mental states for some time. Stress is an unavoidable part of human’s life and it can be generated through any source. So we cannot say that only some aspects and incidents can cause to stress. Again the same thing can be a matter of stress to one person and at the same time for another person in the same situation doesn’t care about it hence don’t feel stress due to that. Stress is the natural reaction or response of your mind as well as body towards an unwanted incident, situation, and condition. It can be real or imaginary too means, in reality, that situation doesn’t exist but you are assuming it may happen in future. As a result of that stress occurs. In one term stress is the self-protection ability of human’s body which is a result of negative circumstances. You can feel stress due to an undesired situation either mentally, emotionally or physically. It’s not that only negative incidents cause stress. Sometimes you may feel stress due to a positive life incident too such as success in the job, education, marriage, childbirth, wealth increase etc. Just like stress, anxiety is another mental state of a human being that keeps them restless, discomfort and unhealthy by affecting their overall life. It is the unnatural fear related to anything that causes an anxiety attack or panic reaction. A person suffering from anxiety disorder finds it very difficult to lead a normal life as because this negative mental state hampers their life from all section including social, educational, family, relatives, employment, education etc. In simple term, anxiety drains out all the energy of its affected person and in the long term, it takes the form of depression which is one of the severe mental health conditions and needs very tough efforts to relieve completely. When your stress is severe and persists for a long time it takes the form of anxiety. It is simply a feeling of fear which can occur due to any incident or situation like anxiety may happen on the very first day of school, office, first meeting with your partner, relocation to a new city, for giving a speech on very first time in life, interacting with new people etc. This means whenever you feel a lack of confidence in yourself it makes you fearful and nervous hence you start developing the symptom of anxiety. 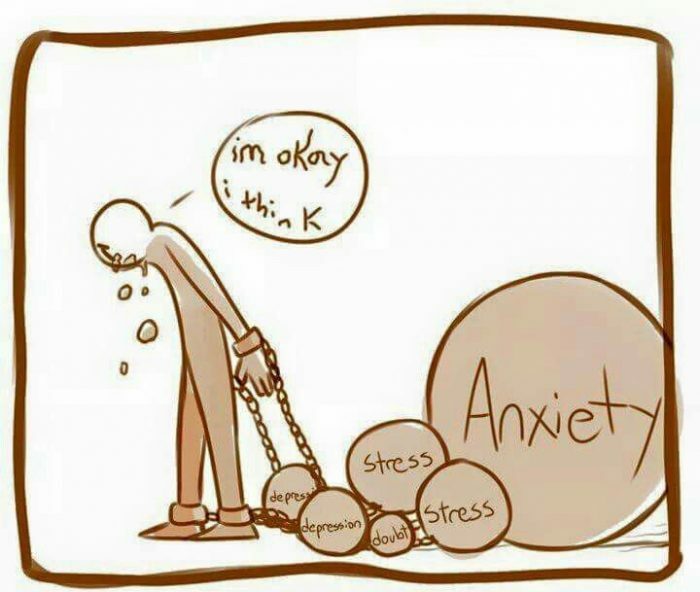 If anxiety exists for a few days then it is ok and you can cope up with its own. However, if anxiety exists for more than six months then it takes the form of anxiety disorder and needs professional help. Depression is another mental health condition that can affect a person at any stage of life. It can exist for a few days to many years depending upon the reason of depression and the affected person own effort and desire to get out of it. Both stress and anxiety may take the form of depression if not properly dealt with on their initial stage. In other terms, we can say that these two mental states give an alarming signal to you to stay prepared with the preventive measure otherwise you can be a victim of depression which is not a small health concern. Sadness is the root of the cause of depression which may generate due to any situation or condition. Feeling of sadness is normal and a part of everyone’s life as because everything cannot go right and as per our expectations all the time. So we often feel sad when things or life doesn’t move as per our desire. This sadness is not wrong but persistent feeling of sadness, loneliness, hopelessness, helpless, lack of interest and happiness in our daily life activities etc. develops the symptom of a clinical form of depression which requires medical help to deal with. Depression affects our all aspects of life by disturbing our regular activities, working capability, mental peace, and behavior. The worst part of this mental disease is that in its severe form it can even generate the suicidal tendency in the affected person. Now you have well understood about the three most common and unhealthy mental conditions which are stress, anxiety, and depression. Just like other health conditions and traumas even these health concerns too can be cope-up by using natural and effective home remedies without any intervention of doctors and medications. So friends if are also the victim of any of this health issues not to worry at all as by following our below-mentioned tips and remedies you can well fight with all of them and get back your normal life rhythm and happiness. Be positive about life, incidents, and scenarios that you are going through now. It is the positive attitude towards life that fills energy in you and enables you to overcome even in a critical situation that has put you in stress, anxiety, and depression. Yes, we do understand that it is tough for you in the current situation when nothing is right or as per your expectation but it is you only who can help yourself better way. You can take the help of motivational quotes, stories, and videos which can help you to keep a positive attitude and will motivate you a lot to get rid of bad mental health condition. Laughing is considered one of the most effective therapy to reduce stress, anxiety, and depression. It is a medically proved therapy and often suggested by the psychiatrists too even in the severe cases of depression and anxiety disorder. Go in fresh air amidst of nature and take a breath in the fresh air, bright sunlight and laugh with your friends and family. All these nature’s gifts are an amazing healer that works much faster and effective way than the prescribed medications for treating such health concerns. One another natural and effective way of reducing stress, anxiety, and depression is to prepare a journal every day and then analyze it at the day end or the next day. Whatever ups and downs you are experiencing in a day write it down in a diary. Learn to be grateful for the people and things that stand by you and help you to make your life easier for you. This positive attitude of gratitude will enlighten your way which is very much important in this particular situation. So preparing a journal will help you to think positive way and hence reduce your mental stress, anxiety and depression issues. Exercising is a great natural way for relieving your stress, anxiety, and depression as when you give stress to your physical body it indirectly diverts your mind from your pain area and negative thoughts that has overwhelmed your mind. Though you will not feel its effectiveness within in few days still it really works amazingly to combat these negative mental thoughts in the long run. So be very much consistent with your exercise practice regarding the timing and duration that you spend on it. Also, it is seen in many cases that those who exercise daily are the less victim of stress and anxiety as because their mental state remains very stronger than those who never exercise any day hence they can handle any negative and undesirable situation smartly without getting panic. Also exercising has many health benefits that influence your mental health and help you to overcome all these mental health conditions which indirectly affects physical health and overall lifestyle. Daily exercise practice boost your sleeping pattern and habit that gets affected badly by stress, anxiety, and depression. In other terms, we can say that it is the disturbed sleep or due to lack of sound sleep that elevate these health conditions and make it worst. 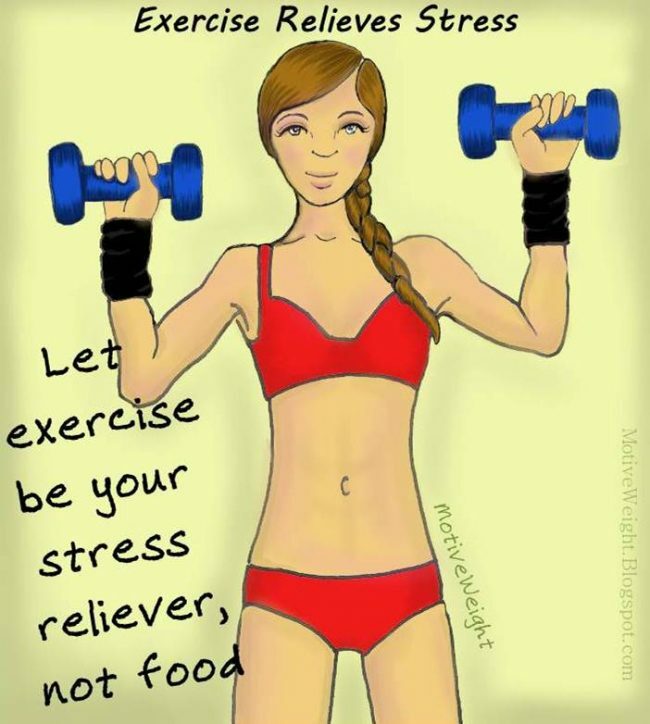 Also exercising releases the stress hormones from your body and reduces your mental stress and anxiety to a great extent. Apart from that long-term exercise helps to release the endorphins a vital chemical for improving your mood. Hence it helps to ease with mood swing a common symptom or concern which develops due to depression problem. One more added benefit of daily exercise that it builds up your physical fitness along with improving or supporting your mental health. Hence your confidence increases when you experience positive and noticeable changes in your appearance which is very important to fight against the negative circumstances. Forgiveness is the key to getting rid of all kind of mental pain, stress and depression issues as because when you forgive you start feeling relax at that moment only and forget about all those panic thought and anxiety. So if you don’t have a natural tendency to forgive then it’s time to learn forgiving. Whatever happened to you it is past and thinking about them, again and again, is not going to make it better and as per your expectations. So the prudent step is to move on in your life and that is only possible when you can forgive. If you are the one who wants to reduce your stress or anxiety and depression then must try this simple tip it will really work on your situation. You can take the help of several supplements as they work very fast and effective way of reducing your mental stress and anxiety. It makes you feel energetic and boost for your day-to-day work for which you are feeling disinterest due to depression. Mental concerns like depression drain the affected person energy and make them feel low and unconfident. They lost their charm for life and sometimes suicidal kind feeling also overwhelms them. So its turn to try some nature-friendly supplements which you can consume directly to boost and release your healthy mental hormones that fight against the feeling of sadness, hopeless and other negative thoughts. Some vital and most prominent supplements for boosting mental health includes Ashwagandha (herb), Green Tea, Omega 3 Fatty Acid, Lemon balm, Kava Kava, Valerian, Probiotics etc. Use all these or some of these supplements in your daily life routine to get rid of stress and anxiety. Remember if you are on medication then must consult with your doctor before using these supplements as because it might cause some side effect. Don’t keep your pain and stress within you as it works as a poison which slowly will trap you in its net and then it will be extremely difficult for you to get rid of it. So whatever the pain and stress you are suffering from share with someone whom you can trust completely or those who understand you and can give you some positive suggestion. Sharing a painful thought is very important in the cases like stress, anxiety, and depression as it is the pain of things, incidents, and circumstances only that cause you to face such health concern. So its most vital remedy is sharing your thought without hesitation with your close friends, family members or anyone whom you think as trustworthy. Often people feel shy to share their pain especially if it is very much personal, in that situation you can write down your thoughts in a paper as writing is a way of expression and this will also make you feel relaxing, light and less stressed. Hence you can overcome your situation and reduce the burden of stress, anxiety as well as of depression. When someone is in stress and depression mostly they want to stay alone so that they can concentrate their all those thoughts which overwhelm their mind and make their condition much more critical. Friends it is the company of people that can help you to overcome your situation and you really need it in this point of time. So even if you do not like to be with others then also don’t try to avoid them. Living alone in a room or place will elevate your stress and anxiety as every time you will remain drench in your painful thoughts. All the tips mentioned in this article are the natural effective ways to reduce stress, anxiety, and depression and are proven one as many people have benefited out of these natural tricks. Friends life is very precious and it is one time gift by the God so don’t waste it in stress and depression. Make your life pleasing by using our fruitful natural remedies.